5 pages were found with this tag. Where should I register the assumptions and restrictions? In this podcast, Ricardo explains that, unlike what many people think, the assumptions and restrictions (or constraints) often need to be registered not only in one but in several documents throughout the progression of the project planning. In this podcast, Ricardo explains why we should separate Assumptions from Constraints in the project management and do not consider them as similar. You'll learn why the approach strategies should be distinct. 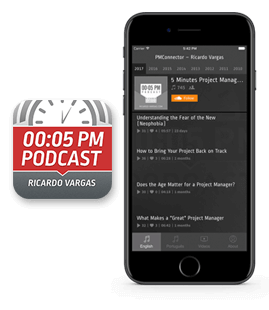 In this podcast Ricardo talks about the importance of project change management. He assert that the relevant is not to avoid the change, but manage it in a proper and assertive way, aiming the global benefit for the project. In this podcast Ricardo Vargas differentiate the concept of assumption from the concept of constraint in a project, associating the risks intrinsic to the proper choice of a set of assumptions for the project.